Middle age was never so funny! Sold-out audiences across the country have been loving this hysterical musical from the play writing team the NY Times calls "A Riot!" 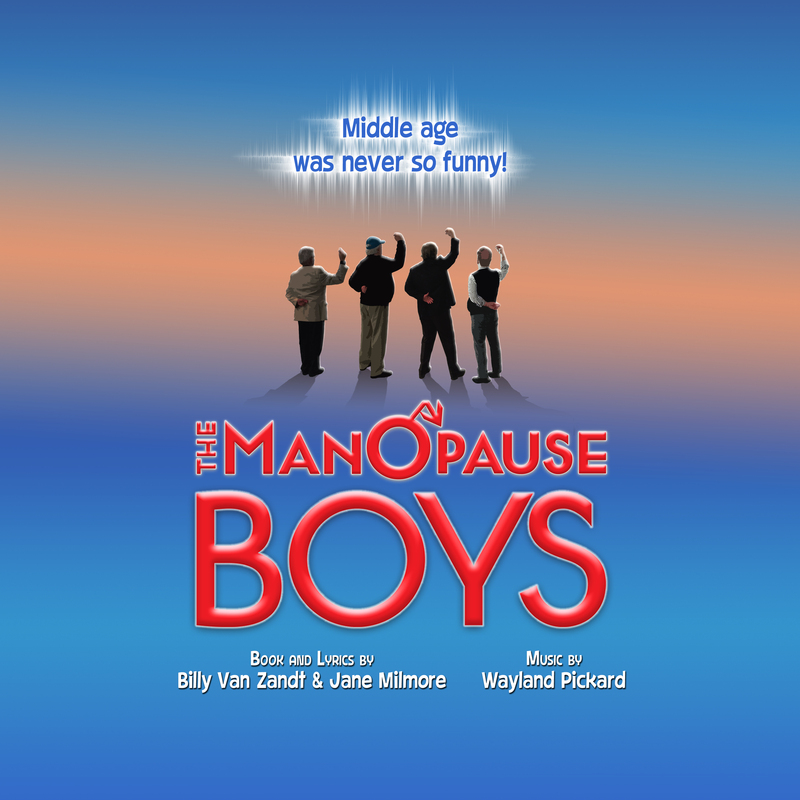 Four guys finally open up and confess the agony and hilarity of going through MANOPAUSE. Ladies, now is your chance to find out what men are really thinking as they navigate everything from the depths of expanding waistlines to the heights of Viagra. And all's well that ends well as our mid-life quartet concludes with the rousing revelation that you'll never be younger than you are today! "FUNNIER than "Menopause the Musical!" "Wincingly FUNNY! A laugh from start to finish!" "It was like someone threw me on the floor and started tickling me. My laughter could not be contained!"